Your price: 18,08 € tax incl. By buying this product you can collect up to 47 loyalty points. 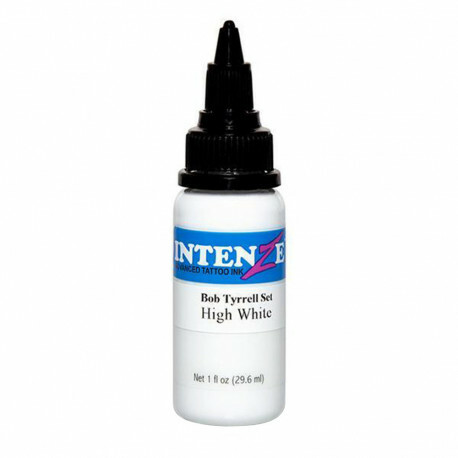 Intenze Ink - High White (1 oz) is a special white ink formula designed to fit in perfectly with Bob Tyrrell's Advanced Black & Grey Series. Handy for achieving various in-between shades of gray. Intenze Ink colors are prominent high-quality tattoo inks offering a wide range of over 140 unique color shades. They inject into the skin very well and heal amazingly. 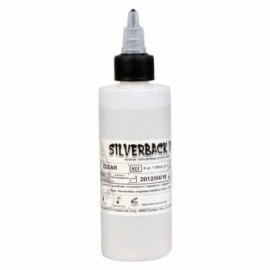 They are globally popular with all tattoo artists for all tattoo genres. They have an extremely long lifetime and remain bright and radiant even after the healing process. Intenze Ink inks are made in the USA and meet all the standards for use in the EU. They are suitable for vegans and tested by CTL Bielefeld laboratories.